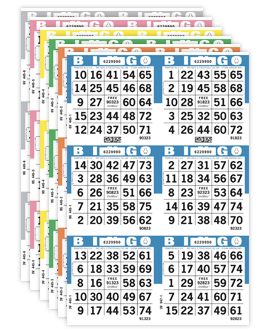 As seasons change, climate conditions within your establishment can have an effect on paper pull tabs. It is suggested that you make gate spacing adjustments part of your seasonal Nevada Gold care and maintenance schedule. Use the instructions below, download the instructions PDF, or watch the instructional video to make your Column Gate Spacing Adjustments. 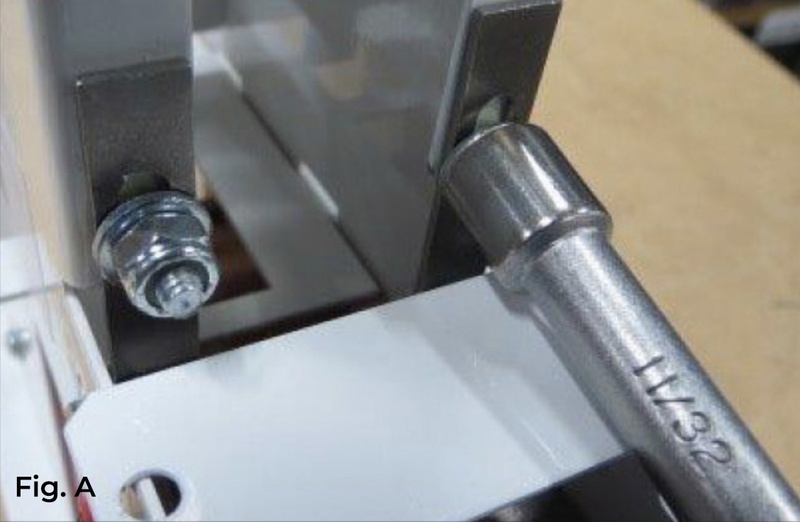 Loosen the two gate height adjustment nuts using a 11/32 socket. Insert the Column Gate Spacer Gauge into the column so that the Gauge is behind the gate and the bent tab is facing forward. 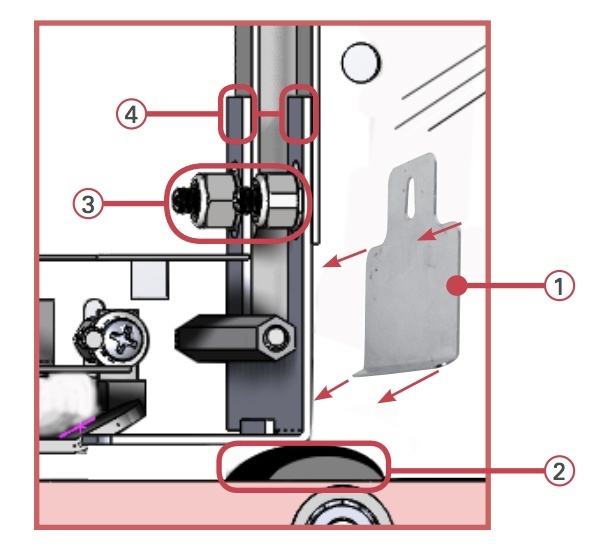 See Figure B and Figure C.
Press down on the gate, and hold the Spacer Gauge forward while tightening the gate height adjustment nuts. 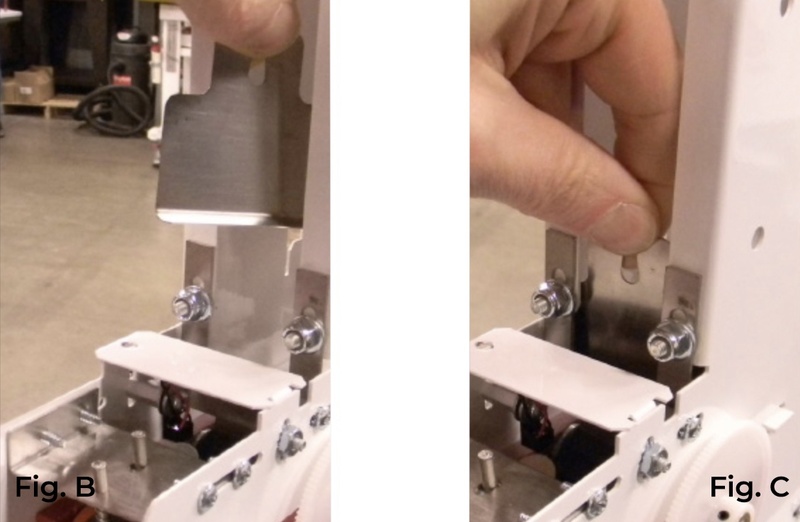 See Figure D.
Using the 11/32 socket tighten the nuts gradually, alternating from side to side to ensure that the edge of the gate stays parallel with the ticket. Do not over tighten. See Figure E.